Recent developments in genetic modification raise remarkable possibilities—and serious ethical problems. A society filled with genetically engineered humans was the fear and stuff of wild prediction in the 20th century. Aldous Huxley’s science-fiction novel Brave New World, published in 1932, foresaw developments in genetic engineering that would radically change society. The novel was set in the year 2540. Boom! Genetic science is one small step closer to bringing about this reality—by 2017. Genetic engineers have discovered how to easily edit human dna in sperm and egg cells at little cost. The new technology is so phenomenal that the scientific world has been rocked. Yet the giant question on geneticists’ minds is, should we do it? Here is what you need to know. Science magazine named crispr, a sophisticated genome-editing technology, the “Breakthrough of the Year” for 2015. Although it may sound like a new breakfast cereal, crispr, which stands for “clustered regularly interspaced short palindromic repeats,” is a good example of both the incredible advances and great dangers modern science often hands us. What crispr does for genetic engineering is truly astonishing—yet it carries heavy ethical and moral questions. To fully grasp the power of crispr, you need to understand the term genome. 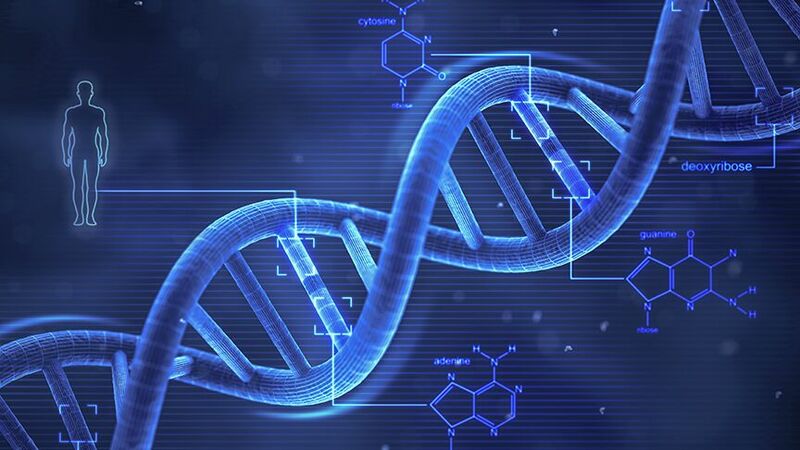 According to Genetics Home Reference, “A genome is an organism’s complete set of dna, including all its genes. Each genome contains all the information needed to build and maintain that organism. In humans, a copy of the entire genome—more than 3 billion dna base pairs—is contained in all cells that have a nucleus.” crispr allows geneticists to enter the tiniest human cells (germline cells, or reproductive cells) and either clip out undesired or add in desired traits. The process permanently changes the germline cell set of dna. This means that the dna set of all future cells growing from the germline cells’ dna is also changed. So any dna change passes on to all future generations. crispr has been eight years in the making. The technology was conceived in 2007 when a yogurt company discovered an unexpected defense mechanism that its bacteria used to fight off viruses. Researchers found that the bacteria could remember viruses. Scientists found remnants of genes from past infections sandwiched between odd, repeated bacterial dna sequences. Researchers learned that the viral scraps serve as an infection memory bank. Yet it is how the bacteria use their memory bank that makes crispr a marvel. “From them, bacteria create guide rnas [ribonucleic acid, a biological macromolecule essential for all forms of life] that can seek out the dna of returning viruses before chopping up the viral genes with a nuclease [an enzyme cutting tool],” writes Science deputy news editor John Travis (Dec. 18, 2015). Once the inventors of crispr, Jennifer Doudna and Emmanuelle Charpentier, understood this process, they raced to adapt it to editing dna in higher organisms. The process has proved itself effective and carries great commercial benefit. The crispr technology employs synthetic “guide rna molecules” like scissors to cut out and replace any targeted dna sequence. Researchers worldwide have employed crispr to efficiently edit the dna sequences of plants, animals and laboratory cell lines. Charpentier and Doudna won the prestigious Gruber Foundation International Prize in Genetics for their work in 2015. Most all of science has rejoiced over crispr’s success at genetically altering the dna of plants and animals: pigs, dogs, monkeys and fish. However, some scientists—including Doudna—were concerned crispr would be used to experiment with human embryos. In March 2015, Doudna and other leading researchers called for a worldwide moratorium on using crispr to alter human dna in a way that can be inherited. Doudna and her associates know that more study needs to be done to determine the safety of using crispr to edit human dna. Conservative geneticists recognize that such uses should be scrutinized and regulated. However, experimentation on human cells came much quicker than anyone expected. In April 2015, genetic researchers at Sun Yat-sen University in Guangzhou, China, announced they had begun to experiment on human embryos. They published the findings of their experiments. The news and scientific paper drew a strong reaction from leading Western researchers. “Some say that gene editing in embryos could have a bright future because it could eradicate devastating genetic diseases before a baby is born,” wrote David Cyranoski and Sara Reardon for Nature magazine. “Others say that such work crosses an ethical line: [B]ecause the genetic changes to embryos, known as germline modification, are heritable, they could have an unpredictable effect on future generations. Researchers have also expressed concerns that any gene-editing research on human embryos could be a slippery slope towards unsafe or unethical uses of the technique” (April 22, 2015). What do they mean by slippery slope? Conceivably, with further enhancement to the crispr technology and given enough time, a master race, superkids or superarmy could be genetically designed. “The Chinese researchers did not plan to produce a baby—they used defective human embryos—but did hope to end up with an embryo with a precisely altered gene in every cell but no other inadvertent dna damage,” wrote Gina Kolata for the New York Times (April 23, 2015). However, the Chinese experiments failed. “None of the 85 human embryos they injected fulfilled those criteria. In almost every case, either the embryo died or the gene was not altered. Even the four embryos in which the targeted gene was edited had problems. Some of the embryo cells overrode the editing, resulting in embryos that were genetic mosaics. And speckled over their dna was a sort of collateral damage—dna mutations caused by the editing attempt.” What leading Western researchers feared would happen, happened! But failure now doesn’t mean failure in the future. The reality is that crispr, if perfected and used wrongly, could bring about what the eugenics movement in Nazi Germany wanted to accomplish decades ago. Many researchers worry that the Chinese will continue to push forward to be the first to produce a genetically altered baby. China’s aggressive use of crispr motivated Western geneticists to call an international meeting of genetic experts to debate the ethics involved. In December, members of the National Academy of Science, the National Academy of Medicine, the Royal Society (United Kingdom) and the Chinese Academy of Sciences met at the headquarters of the National Academy of Science in Washington, d.c. Several scientists want the technology banned from use on human embryos and germline cells. However, other leading geneticists believe that the use of the crispr technology should not be banned altogether. They believe dna-editing technology could be developed to benefit the prevention of human disease and genetic defects. For example, it could repair genetic mutations that cause hereditary diseases, such as sickle cell. Researchers attending the meeting agreed that crispr technology should be regulated and scrutinized, with a set of safety protocols put in place to allow research to continue. “At least one thing is clear at this stage—we do not yet know enough about the capabilities and limits of the new technologies, especially when it comes to creating inheritable mutations,” wrote Jennifer Doudna. “In my view, a complete ban might prevent research that could lead to future therapies, and it is also impractical given the widespread accessibility and ease of use of crispr” (Nature, Dec. 3, 2015). Truly, regulating research that uses crispr technology worldwide is not just difficult—it is nearly impossible. In the United States, federal laws prohibit the National Institutes of Health from funding human-embryo-based research that uses crispr. Yet this type of regulation may only be passed in a few European countries. Essentially, the use of crispr has a wide-open door. Not long after the December meeting, the UK’s Human Fertilization and Embryo Authority, in a precedent-setting move, approved its first studies using crispr as the means to edit human embryos. This was the first time the technology was sanctioned for use on human embryos. A team of scientists led by Kathy Niakan, a biologist at the Francis Crick Institute, will attempt to edit out bits of dna that prevent an embryo from developing properly. Niakan and her team want to use the study to gain a better understanding about infertility. The embryos will not be allowed to live beyond 14 days. This means that the study is not intended to have the embryos develop into living babies. The study has created an uproar among pro-life groups across the UK. Many see it as the first step toward legalizing genetically modified babies. While crispr is cheap and easy to use, heated debate over whether it should be used is sure to continue. We can be sure the debate over crispr will continue along with its development and use. Yet, here is something we should think about that is not likely to enter into the discussion. There is a tragic paradox to man’s creative genius that no one seems willing to admit. Man can do just about anything he sets his mind to do. The paradox is that while we set out to do good for ourselves, it often turns out to bring us harm. Our development of nuclear power is a prime example. God knew about this paradox from our earliest days on Earth. Genesis 11 records Him making this observation: “Behold, the people is one, and they have all one language; and this they begin to do: and now nothing will be restrained from them, which they have imagined to do” (verse 6). He knew that if mankind were not held in check, we would have wiped ourselves off the Earth millennia ago. So God stopped man by confusing our language and separating us (verses 7-8). Why do men and women get themselves into such trouble? The first speaker at the international summit on crispr gives us the answer: “We have been playing God ever since we domesticated plants and animals.” The man who said this, Ismail Serageldin of the Library of Alexandria in Egypt, is a renowned historian. Although most people do not accept the Bible as history, it is the only history we can truly rely on. Why? Because God revealed it to us. An earlier passage in Genesis shows that our first parents rejected a relationship with God because they wanted to be God (Genesis 3:6-7). Adam and Eve didn’t want God telling them what to do—how to run their life—how to build a society. So God expelled them from Eden and let them go their own way. The results of man’s efforts to rule himself have been disastrous. Yet man has not admitted it. crispr allows us to play God—with what result? There may be some good, but evil is lurking in the shadows. The Bible shows clearly that God is not going to step in to save us from our inventive genius until it is nearly too late. He is going to allow us to go to the brink of world genocide (Matthew 24:22). He wants mankind to learn the painful lesson that man is incapable of properly governing himself. However, our future is very bright. Jesus Christ is going to return, set up the Kingdom of God, and show all mankind how to live healthfully, happily, peacefully and productively. If you would like to know more about God’s plan for mankind, request a free copy of The Incredible Human Potential by Herbert W. Armstrong. Even military experts are beginning to weigh in on the issues surrounding crispr. In February, James Clapper, United States director of national intelligence, added gene editing to a list of threats posed by “weapons of mass destruction and proliferation.” “It is gene editing’s relative ease of use that worries the U.S. intelligence community,” wrote Antonio Regalado in the MIT Technology Review. “Although the report doesn’t mention crispr by name, Clapper clearly had the newest and the most versatile of the gene-editing systems in mind. The crispr technique’s low cost and relative ease of use—the basic ingredients can be bought online for $60—seems to have spooked intelligence agencies” (February 9). The U.S. spy chief’s choice to call out gene editing as a potential weapon of mass destruction surprised genetic experts. Yet it is not difficult to understand why he did. “Research in genome editing conducted by countries with different regulatory or ethical standards than those of Western countries probably increases the risk of the creation of potentially harmful biological agents or products,” the annual worldwide threat assessment report states. U.S. intelligence has a valid concern. The agency considers biotechnology a “dual use” technology, which means that normal scientific developments can be harnessed as weapons. The U.S intelligence agency is concerned about at-home genetic hobbyists. New discoveries and the personnel who know how to use and design them “move easily in the globalized economy,” the report noted. Regalado wrote that “scientists have previously speculated about whether crispr could be used to make ‘killer mosquitoes,’ plagues that wipe out staple crops, or even a virus that snips at people’s dna.” Some have even speculated that an assassination of a world leader could be accomplished by using a genetically modified disease made just for that one person. “The intelligence assessment drew specific attention to the possibility of using crispr to edit the dna of human embryos to produce genetic changes in the next generation of people—for example, to remove disease risks,” wrote Regalado. Although his article didn’t describe what else could be done by making dna changes to the next generation, U.S. officials are sure to be concerned about the potential for the creation of a genetically modified supersoldier, or superarmy.